Use the form below to contact tour Cham Island Tour (New Heaven) directly. 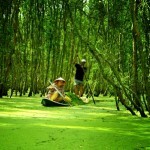 Cu Lao Cham Islands ancient landscape offers many sand beaches, forested hills and the sea. 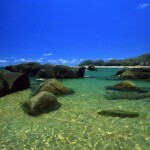 Facilities for camping, swimming and scuba diving are available. 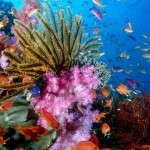 The corals and marine life are an attraction in these island waters. Spending one night on the Island for leanring more about the loal people’s daily life. 07:00 AM: Picking you up at hotel to Cua Dai harbour. 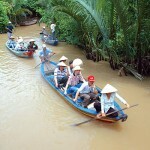 08:00 AM: Relaxing in fresh cool wind and enjoy the beautiful landscape on Hoi An Green speed boat to Cham Island. 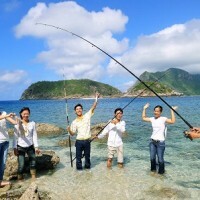 11:30 AM: Staying at Chong beach ecological zone, swimming, enjoy your lunch with sea food. 15:00 PM: Walking, climbing and relaxing in fresh cool wind and enjoy the beautiful landscape from the top of the mountain. 7:30 AM: Walking, contemplating the beach, joining some activities with fishers. 9:00 AM: Coming back to Chong Beach, swimming. 14:00 PM: Packing luggage for coming back to Hoi An. 14:30 PM: Seeing you off at your hotel and end of your Cham Island Tour!